Posted on February 9, 2018 at 12:52 pm. Posted on January 22, 2018 at 11:51 am. 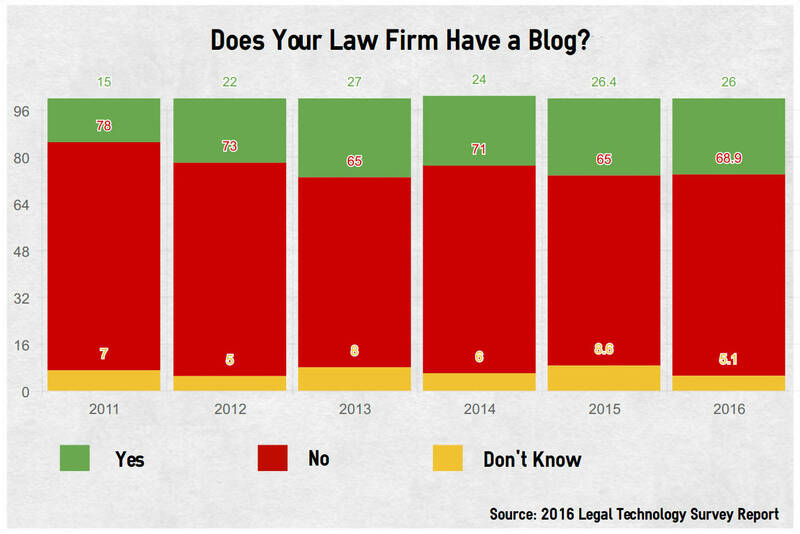 Got another call from a lawyer whose website, he thought, was underperforming. A quick review of the site shows why…. 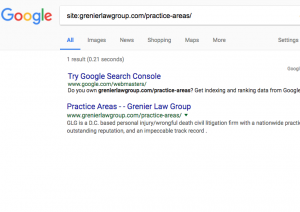 While the site is visually fine, note that all of his practice areas display as pop ups on the same URL…the individual practice area content doesn’t actually exists at his URL: http://grenierlawgroup.com/practice-areas/. (Note below – the URL for this practice area is stuck at /practice-areas/, as is all their other practice area content. 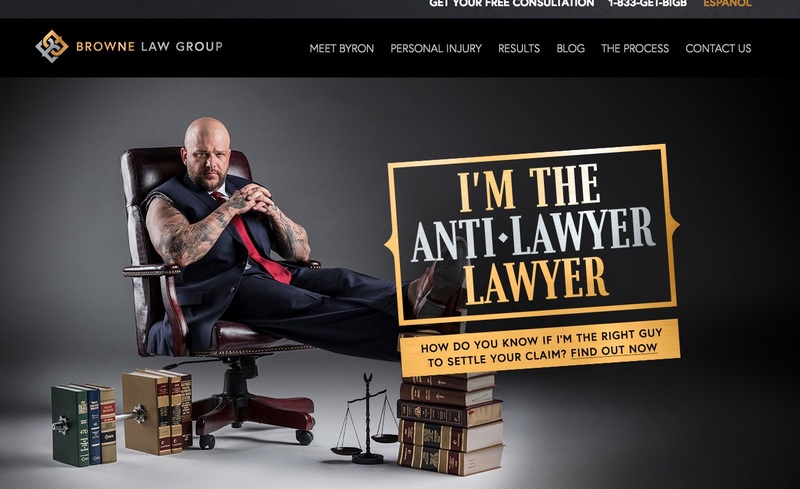 I’ve seen this with attorney profile pages as well. So…when you are DIYing (and you really can) your websites…be sure that all of your content has a page (read: distinct URL) on which to reside. Posted on October 19, 2017 at 11:11 am. It May Not Be Our Fault, But It’s Still Our Problem. host – yet another reason to work with WPEngine, but I digress again) had their site go down at 4:28am this morning, we got pinged. And we got on it. And we are solving his problem – we found his hosting provider, notified them of the problem (turns out a bunch of their sites went down and they were unaware). We’re working on getting his back up relaunched asap. Even though it wasn’t our fault… it’s still our problem. Posted on August 2, 2017 at 9:53 am. Posted on July 31, 2017 at 6:00 am. Images are important. 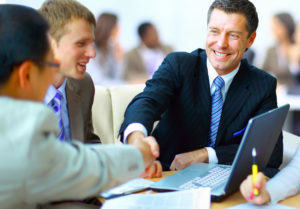 They can improve SEO as well as break up text and help make your website or blog post aesthetically pleasing. However, large uncompressed images can slow your page speed and impact your ranking factor. With the majority of people using their mobile devices for web browsing rather than desktop pc’s or laptops, making sure that your images are optimized is vital. Follow these steps and you will be on your way to becoming an image optimizing machine. There are plenty of other stock image sites, however make sure that you can legally use them and whether or not you need to provide attribution. Whether you are using Adobe Photoshop, Affinity Photo, or any of the other photo editing programs available, you will need to figure out which filetype will be the best for your image. This could be confusing considering how many file options are available. In this post I will be going over two popular file formats, JPEG and PNG. JPEG: This is one of the most common image file types on the internet. JPEGs do not support transparency within images like PNGs do. JPEGs keep file sizes small and is pretty much supported universally. PNG: Unlike JPEG, PNGs support transparency and possess a better color range. On the downside, file sizes are larger than a JPEG. Unless you need transparency, JPEG should be your first choice when deciding file format. 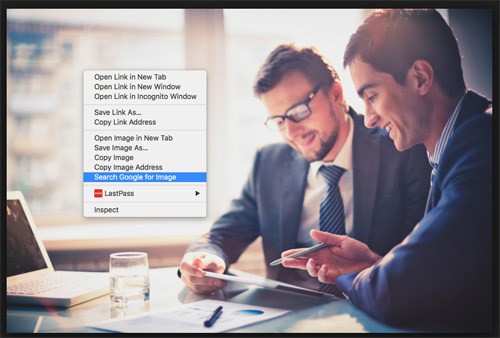 Using a proper file name for you image is important because you want Google and other search engines to know what the image is about. For example, let’s say that you took a photo of a sunset at the beach in Hawaii using your own digital camera. When you upload that photo to your computer, you might have seen something like DSC1234.jpg as the file name. When looking at the image, you can instantly tell that it’s a picture of a sunset at the beach. Unfortunately this isn’t the case for Google. Instead you want Google to see that the image is sunset-hawaii-beach.jpg. When posting an image on the web, your main goal is to decrease the file size as much as possible without losing too much quality. With websites like compressjpeg.com and compresspng.com this process is incredibly simple. Simply upload your image to the site and it will do everything for you. 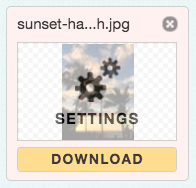 After the image has been compressed, you can make further changes to the image when you hover over the image and click on “settings” (shown below). Once you’re happy with the changes you have made, simply download the image and you are ready to go! If you have access to Photoshop and want an in-depth “hands-on” approach, you can read about compression and how to compress images in Photoshop here. It’s that simple. By following the steps previously outlined, you will have images that look great and load quickly.